Bianca Boling graduated from Grand Canyon University as one of the campus’ finest students and best athletes. She has risen by lifting others. Boling leads the Lopes’ softball team by picking up key hits, groundballs and teammates’ spirits. Her boosts extend beyond the softball field’s lines and will continue outside GCU’s walls. Bianca Boling graduated with a degree in psychology and plans to become a forensic psychologist. She spearheaded her team’s thousands of community outreach hours, from building a family’s home in Mexico to playing games with pediatric cancer patients to delivering Christmas presents to a family saddled with hospital bills. With a psychology degree from the College of Humanities and Social Sciences, which she received Thursday night at spring commencement, and a doctoral future in clinical psychology, Boling intends to be a forensic psychologist studying the behavior of serial killers and rapists. “I kind of like the worst of the worst,” Boling said. She has been the best of the best for GCU. Last week, she won GCU’s Ronald L. Beck Female Scholar-Athlete of the Year award and the $10,000 Kevin and Greta Warren Postgraduate Athletic Scholarship. In softball, she is the Western Athletic Conference hitting leader with a .441 batting average in conference games. But softball is only one area where she lifts people. Boling grew up in Phoenix as part of an athletically and academically driven family. B’s were not acceptable, and the last one she earned came in her first GCU semester. Her freshman year was like a walk to first base before she started running the basepaths of her college life. 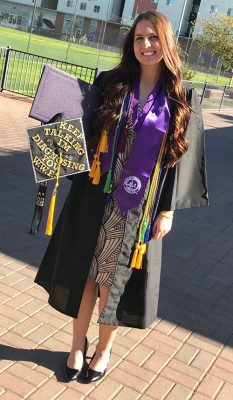 Joining the GCU Honors College, where her sister Breanna Naegeli is the assistant dean, as a sophomore turned her tunnel vision into a full university scope. She became involved with community outreach, joined the Student-Athlete Advisory Committee, landed internships and intensified her studies. “I realized the person who I want to be,” Boling said. While other children stuck to cartoons and sitcoms, Boling preferred watching documentaries about serial killers and crime scenes as a youngster. Human behavior fascinated her, and a psychology class at North Canyon High School provided a pathway to her passion. Boling has been accepted to Midwestern University’s accelerated bridge program to earn her master’s degree while obtaining a doctorate degree in clinical psychology. She already shadowed a forensic psychologist who worked with rapists, and she served as a volunteer intern for Southwest Behavioral and Health Services. Boling grew up in the dirt, playing softball since she was 4 and attending Naegeli’s softball games. She committed to Lopes head coach Ann Pierson on the first day they met and was starting at first base for the Lopes by the second week of her freshman season because of a senior’s injury. 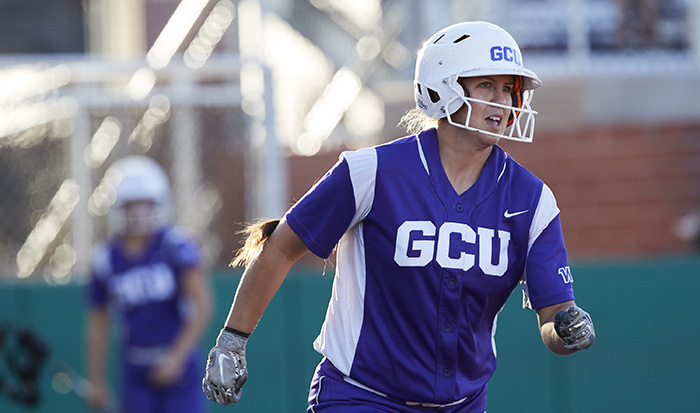 Boling’s GCU academic career ended this week, but her GCU softball career will run until at least May 9-12, when she gets to play in the WAC Softball Tournament for the first time. The Lopes’ athletic program was in a Division I transition for her first three seasons but is eligible this year for NCAA Division I postseason play. As much as Boling expects herself to deliver grades, hits and service, she also is the vocal one to push her teammates’ contributions on and off the field.